Japanese Kumihimo techniques make these Magatama beads twist around your wrist. 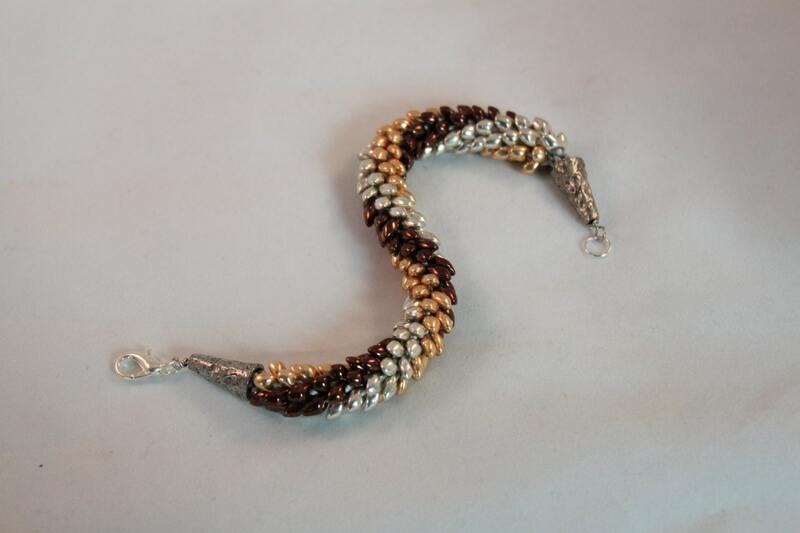 Gold, Silver, Copper - great for Fall! approximately 7"
The perfect gift, fast shipping, very pleased. This necklace is absolutely stunning! LOVE!! The items came in just as requested and are beautiful. Thanks! !